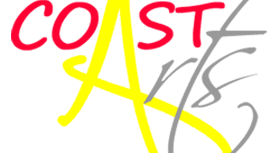 As February gives way into March, this year’s Coast Arts Festival is developing well showing the broad range of activities you want to be in the festival. Photography Competition: We are looking for photographs that illustrate and reflect the ever-changing nature of the beach between high and low tides. If you want to take part or help with getting the show on the road get in touch. We’re looking for new ideas, new event streams, new ways to inspire the people of North Norfolk. COAST is looking for artists, musicians and performers who would like to stage an exhibition, performance or event as part of this year’s Festival . Submissions are invited from all disciplines including Film, Art, Literature, Music and Theatre. The 2015 festival will start on FRIDAY 23 October 2015 – that’s an extra day to the schedule to start the festival with some fun around Cromer and Sheringham. The COAST 2014 festival was a success, continuing to highlight the diverse range of art in North Norfolk.